The timeless elegance of the round Canvas sink makes it an ideal choice for both contemporary and traditional bathrooms. This cast iron basin offers a smooth, easy-to-clean profile that can be paired with a wall- or counter-mount faucet. Archer offers a timeless appeal, blending subtle elements of Craftsman woodworking techniques and the intricate facets of jewelry. Distinguished by its beveled edges and clean geometry, the Archer sink creates a universal look that suits an array of bathroom styles. Caxton has a simple, streamlined design that's as versatile as it is attractive. This easy-to-clean sink combines the sleek look of an integrated basin with a timeless design that suits both traditional and modern bathroom decors. 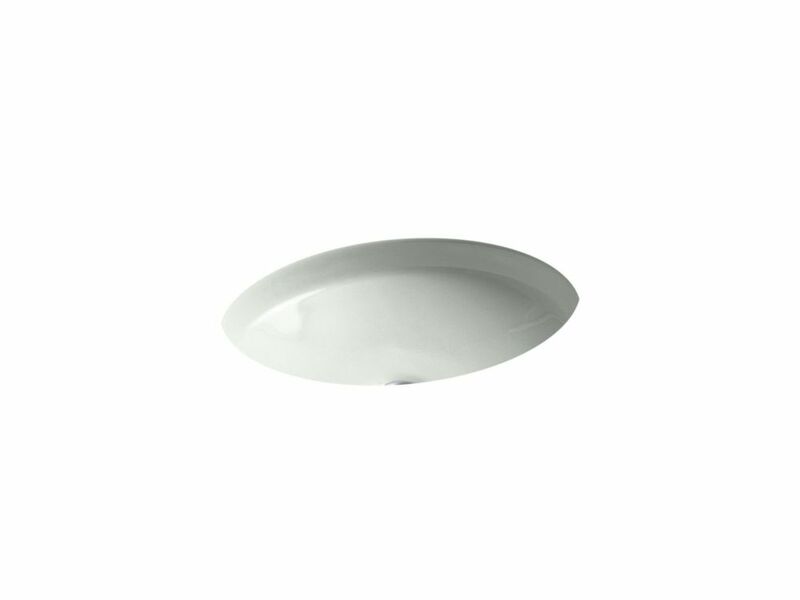 Caxton creates a sleek transition from the smooth oval basin to just about any solid-surface countertop. With reflective facets of cut glass, Kallos shines like a jewel in the bath or powder room. Part of the Artist Editions line of bath sinks, the spun-glass under-mount basin offers a distinctive architectural pattern reminiscent of fine crystal. This basin's design creates stunning visual depth while appropriately concealing the view of toiletries stored inside the vanity. Canvas(R) under-mount bathroom sink The timeless elegance of the round Canvas sink makes it an ideal choice for both contemporary and traditional bathrooms. This cast iron basin offers a smooth, easy-to-clean profile that can be paired with a wall- or counter-mount faucet. Canvas(R) under-mount bathroom sink is rated 4.0 out of 5 by 1. Rated 4 out of 5 by shaaa from Very attractive, wish soap bubbles went down easier and it was a little deeper Beautiful sink, unusual, attractive shape and gorgeous crackled off-white finish. It works but is a little shallower than I'd prefer for handwashing clothing. Also, soap bubbles don't go down the drain very well in mine - I'm not sure if the drain plug gap is small, or if it's because the water doesn't go down as fast due to the shallow shape.... I recommend the sink nonetheless - it's very pretty - but slightly prefer the deeper Serif model I put in my other bathroom.